Our next official member of the Tattooed Moms Club is my friend Megan. I’ve known her since she was a kid and she’s like the little sister I never had. My kids call her “Aunt Megan” and she would help anybody that needed a hand. I just love her and her kids to pieces! Tell us about your kids? My son Jonah is 13 and likes sports and video games. My daughter Kay’Lin is 8 and likes gymnastics/cheerleading and singing. How do your kids feel about your tattoos? They like them. Kay’Lin is more interested in them than Jonah, but they both like them. What about your kids’ friends? I’m pretty laid back, but don’t deal with disrespect or being messy/dirty. What is the biggest lesson parenting has taught you? That life isn’t just about you anymore. And at the end of the day you need to make sure your kids know how much you love them! Tomorrow isn’t promised. Have you ever faced any discrimination due to being a tattooed mom? What happened? Actually, No. I’ve actually gotten a lot of compliments! Tell us about your tattoos. Who did them and do you have a favorite one? How old were you when you got your first tattoo and what was it? What is your idea of “me time”? Would you rather go into the past and meet your ancestors or go into the future and meet your great-great grandchildren? That’s a hard one. I would like to go back and see where I came from, but at the same time, how cool would it be to see what you helped create. Thanks so much for sharing a bit of your story with us, Megan!! We’re happy to have you as part of the Moms Club!! All featured moms are part of the “Moms Club” and you can find all of their posts in the Moms Club category. Get to know the moms in the club – they’re all amazing! Want to be a featured member of the Moms Club? We would love to share part of your story with everyone! Just fill out our contact form and we’ll be in touch!! 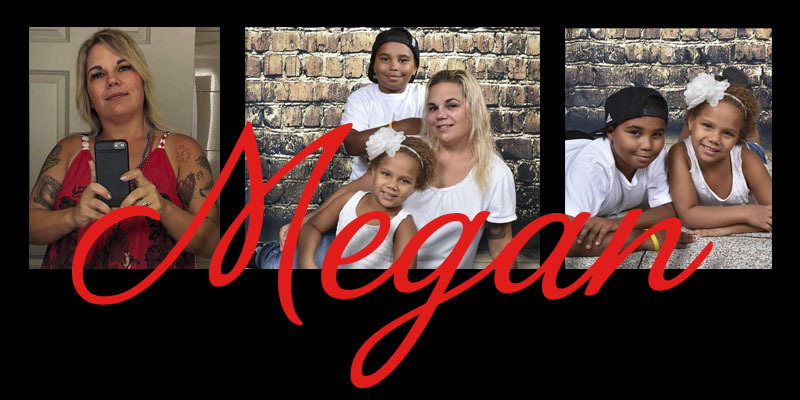 Prev post Featured Tattooed Mom: Megan S.